A Scuba santa's charity event was held on Sun 15 December at the NDC, Chepstow - with money raised going to the RNLI. Worcester News were keen to cover the event and use my photos. 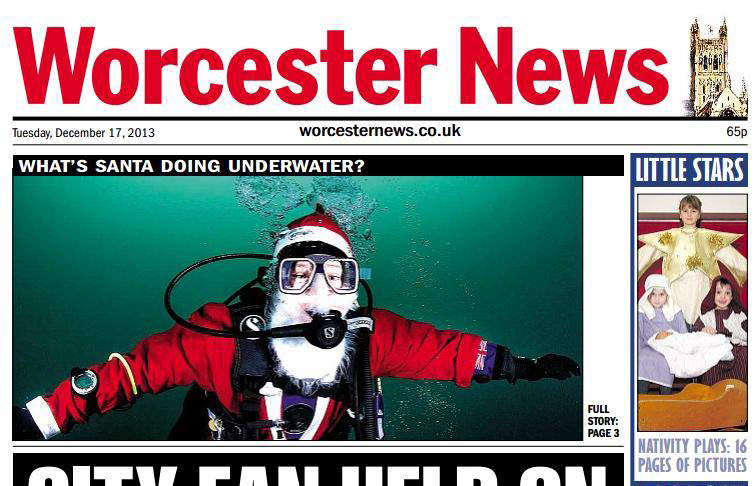 Members from Worcester Divers BSAC club were in the water with many other divers, all dressed as santa. Thanks to Josh Yates for letting me take this cover photo of him.